So, you’ve expressed your desire to crossover from freelance into a full-time position. Your friends and family are probably looking at you like you’re crazy and not thinking clearly. For many, the world of freelance means freedom; freedom from bosses, freedom from rigorous schedules, and freedom from unnecessary stress. You take projects when you want. A reservation system does the booking for you. You can work from your couch or from the beach. It’s not uncommon for people to perceive the perfect vision of the workforce as one that is gig-centered. Taking work as you please and traveling when you want. It’s what idyllic Instagram socialite dreams are made of. However, there’s more to the world of freelance (or independent contracting) than just simply coming and going as you please. Yes, freelance comes with its perceived benefits, but the grass is not always greener on the other side. The lack of stability, increasing demands on one person, and financial security can cause many to find their way back into the traditional workforce. Regardless of the reason, many freelancers who do re-enter the workforce do so as consultants or into a lateral position that closely aligns with what they were doing on their own. Whether you were a freelancer for 10 months or 10 years, transitioning back into a full-time position can seem like a daunting task. With a few tips and a clear head, you can seamlessly transition back into the world of 9-5. When transitioning from freelance to full-time, one thing you need to keep in mind is the structure of the work itself. As a freelancer, you’ve become accustomed to charging by a specified milestone, hour, or project. In a salaried position, this is not the case. Deadlines are constantly moving. Priorities are constantly changing. The lines of your job description become more blurred each day. As a freelancer, you have a clearly defined position in your niche. Back in the traditional workforce, you could put on a number of hats to fulfill your role. You must become comfortable with your new pay and work structure. One of the hardest parts of transitioning back to a full-time position is the loss of flexibility. As a freelancer, you had the ability to make your own schedule and work when you wanted. 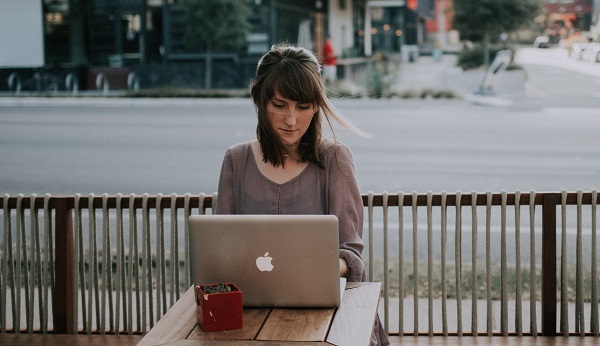 Though an increasing number of companies are picking up on the flexibility model of employee scheduling – much in part to millennials – nothing is quite the same as the freedom associated with freelancing. Essentially, once you pick up a 9-5, your time is no longer your own. Making the transition from being your own boss to “working for the man” can mean long hours, little pay, and less recognition. However, it’s important to remember that you need to set boundaries that can work for both you and your employer. You should never feel indebted to a position. Instead, put in the same amount of effort that you would have when you were working for yourself. Though indirectly, your work still represents you. One final point to keep in mind, which essentially is the most important, is communication. This is one skill that translates across both types of work. Communication on a project between you and the client was essential in ensuring the project went according to plan. The same holds true in the workplace. You’re no longer handling problems on your own. People no longer need to go through a reservation system to get a piece of your time and schedule. You have a team of people around you that have a common goal of getting the work done. Your communication skills have to include being able to handle team members, higher-ups, clients, and everyone in between. Brushing up on proper response times to emails, whether to send follow up emails, interoffice communication etiquette and more, can go a long way. Going back to a traditional job isn’t all bad. Yes, freelancing was fun, but who doesn’t love a good office party every once in a while? With a simple switch of the gears, you can make this transition as easy and seamless as possible.